Relaunch is a GO! Kickstarter campaign at 135%! 901 editions proudly presents its first edition by Italian sound and visual artist Franz Rosati. 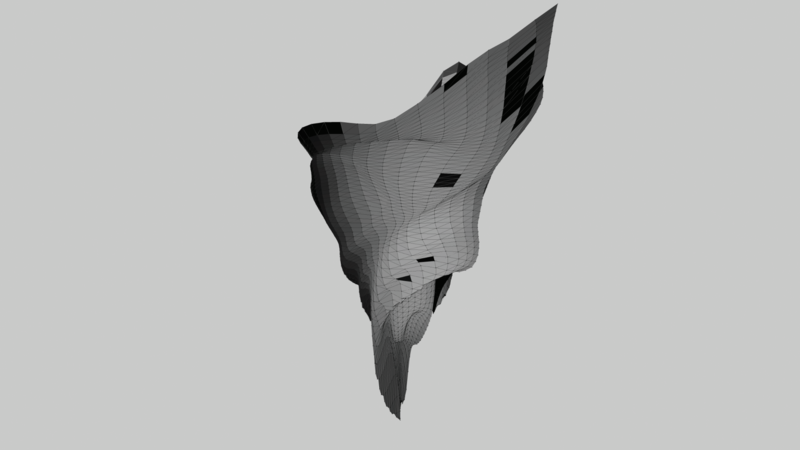 Machine & Structure comes as a software producing a digital synaesthetic sculpture plus three binaural audio tracks. Stasis, movement and kinetic saturation are the summary of spontaneous, primitive interactions of a machine imprisoned within its own code. A virtual organic being with his own behavior. Torsions, spasms, gentle whispers and harsh screams serve as a primitive language used by this virtual body to strive for his principle of existence in the contemporary era. 9 + 1 = 0! Dear folks, welcome to 2018! On the occasion of Farmacia901’s 10th anniversary we rebranded it and changed the label’s name into ‘901 editions’. We also have a new beautiful logo designed at Mote Studio. Things are yet to be completely revealed, but we are happy to embrace a Zen teaching learnt from our recent trip in Japan: “there’s a beauty in sudden change”.